The alternator of your car generates the electrical current throughout your car’s electrical components. It’s a round piece of machinery that helps in spinning the belt, that goes around the engine. In the lieu of an alternator breakdown, your car might not operate properly. There will be little to no power for your headlights, interior lights, heater, air conditioning and every other element. The electricity is still needed to turn on the ignition. Before a complete shutdown, the alternator shows a few signs that you should not miss. We have mentioned the signs that you should look for while checking for alternator failure. There are many cars who have an exclusive indicator to give a warning that the alternator is not working. This will help you to take a quick decision and drive to a garage, without your car shutting down completely. So basically any condition that is different from normal suggests that the alternator is not well. These problems can occur with any alternator but to avoid these problems to re-occur in a short span of time, install a Valeo Alternator. Valeo Alternator parts are high on quality and offer unmatched performance. The alternator on its end of the lifespan can cause other electrical problems to your car. If your alternator is not well then the electrical components of your car start wearing off and become slow. This is the biggest indicator to ascertain alternator problem. Batteries of your car can fail due to several reasons, one of them being an alternator failure. Alternators are responsible for keeping the battery running. So if the alternator fails, it will not be able to wake the battery up, making the battery drain out of the battery. If the alternator fails in providing enough power, the engine will not be able to generate enough power to start your car, so it will keep stalling. 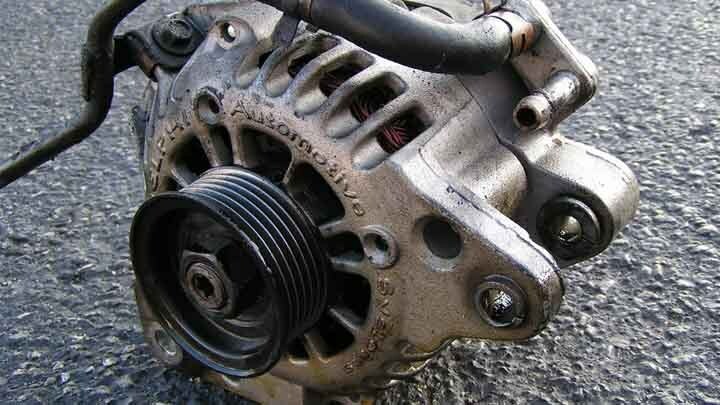 Keep a regular check on your engine and alternator to avoid these signs and keeping the alternator in a fine condition. This will help you from the day you will be stranded on road, looking for a tow car. Install Valeo Alternator For Better Performances! Valeo Alternator parts are used in the new generation vehicles and are the first choice for many car manufacturers and producers in India and abroad. Krishna Auto Electric, being the leading Valeo Alternator parts suppliers in India, provides high-end Valeo alternator for your car, at competitive prices. Contact us now +91 98 25063530 to know more about Valeo Alternator models and applications. Call now for an instant quote! This entry was posted in Valeo Alternator and tagged valeo alternator parts, valeo starter parts on November 14, 2018 by dtsdev.